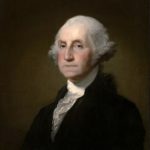 The United States was conceived in business, founded on business, and operated as a business—all because of the entrepreneurial mind of the greatest American businessman of any generation: George Washington. Using Washington’s extensive but often overlooked financial papers, Edward G. Lengel chronicles the fascinating and inspiring story of how this self-educated man built the Mount Vernon estate into a vast multilayered enterprise and prudently managed meager resources to win the war of independence. Later, as president, he helped establish the national economy on a solid footing and favorably positioned the nation for the Industrial Revolution. Washington’s steadfast commitment to the core economic principles of probity, transparency, careful management, and calculated boldness are timeless lessons that should inspire and instruct investors even today. 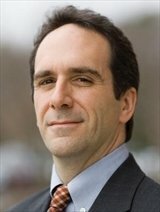 Join us on Monday, May 22, 2017 as we welcome Edward C. Lengel has he presents George Washington: First Entrepreneur: How George Washington Built His – and the Nation’s – Prosperity A short business meeting will start around 7:15pm. The presentation will start at 7:30pm. MaGreks Pub and Grill will be running a 1/2 price special on burgers that night. We encourage you to join our membership for the very small and reasonable tax deductible amount of $20. 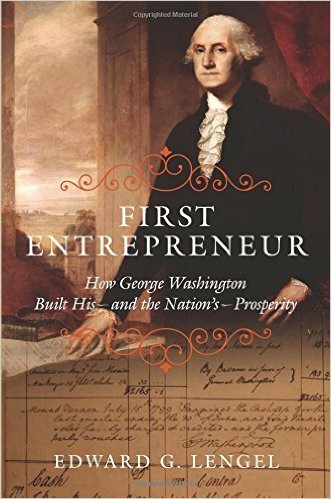 First Entrepreneur will transform how ordinary Americans think about George Washington and how his success in commercial enterprise influenced and guided the emerging nation. 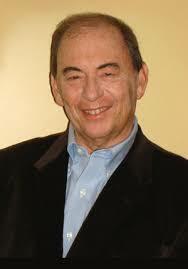 Edward G. Lengel is editor in chief of the Papers of George Washington and a professor at the University of Virginia. He is the author of several books, including General George Washington and This Glorious Struggle. 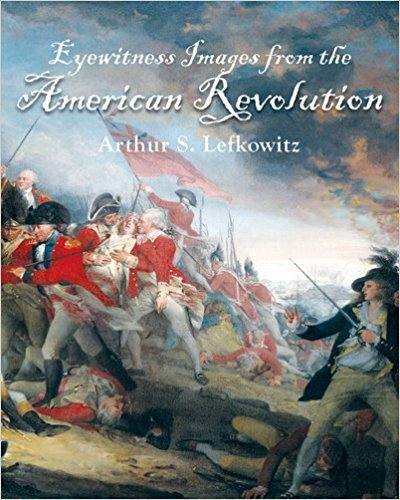 A lecturer on Washington and the Revolutionary War, Lengel is also a historical consultant, advising on such works as the History Channel’s own comprehensive documentary. He is a frequent radio and television guest—appearing on C-SPAN, CBS, and NPR, among others—and is a regular contributor to newspapers and magazines in the vein of military history and American heritage. He lives with his family in Charlottesville, Virginia. 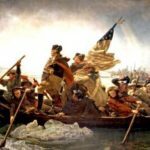 After two years of defeats and reverses, 1778 had been a year of success for George Washington and the Continental Army. France had entered the war as the ally of the United States, the British had evacuated Philadelphia, and the redcoats had been fought to a standstill at the Battle of Monmouth. While the combined French-American effort to capture Newport was unsuccessful, it lead to intelligence from British-held New York that indicated a massive troop movement was imminent. 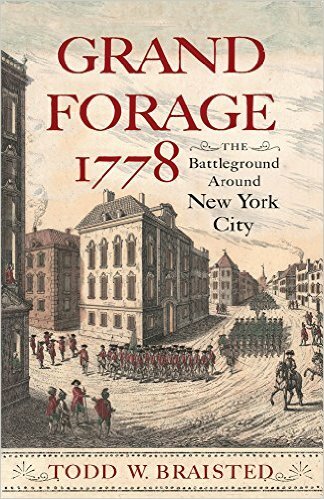 Join us on Monday, June 26, 2017 as we welcome back Todd W. Braisted as he talks about his book “Grand Forage 1778: The Battleground Around New York City”. A short business meeting will start around 7:15pm. The presentation will start at 7:30pm. MaGreks Pub and Grill will be running a 1/2 price special on burgers that night. We encourage you to join our membership for the very small and reasonable tax deductible amount of $20. British officers were selling their horses and laying in supplies for their men. Scores of empty naval transports were arriving in the city. British commissioners from London were offering peace, granting a redress of every grievance expressed in 1775. Spies repeatedly reported conversations of officers talking of leaving. To George Washington, and many others, it appeared the British would evacuate New York City, and the Revolutionary War might be nearing a successful conclusion. 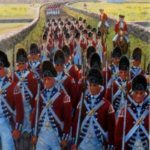 Then, on September 23, 1778, six thousand British troops erupted into neighboring Bergen County, New Jersey, followed the next day by three thousand others surging northward into Westchester County, New York. Washington now faced a British Army stronger than Burgoyne’s at Saratoga the previous year. What, in the face of all intelligence to the contrary, had changed with the British? Through period letters, reports, newspapers, journals, pension applications, and other manuscripts from archives in the United States, Canada, United Kingdom, and Germany, the complete picture of Britain’s last great push around New York City can now be told. The strategic situation of Britain’s tenuous hold in America is intermixed with the tactical views of the soldiers in the field and the local inhabitants, who only saw events through their narrow vantage points. 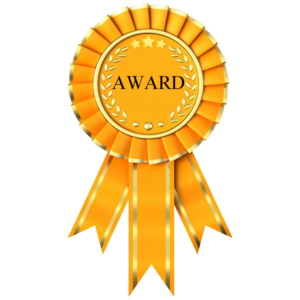 This is the first publication to properly narrate the events of this period as one campaign. Grand Forage 1778: The Battleground Around New York City by historian Todd W. Braisted explores the battles, skirmishes, and maneuvers that left George Washington and Sir Henry Clinton playing a deadly game of chess in the lower Hudson Valley as a prelude to the British invasion of the Southern colonies. Todd Braisted is a life-long resident of Bergen County, New Jersey. An acknowledged expert in the field of Loyalist studies and local Revolutionary War History, he serves as Honorary Vice President of the United Empire Loyalist Association of Canada and a past president of the Bergen County Historical Society. 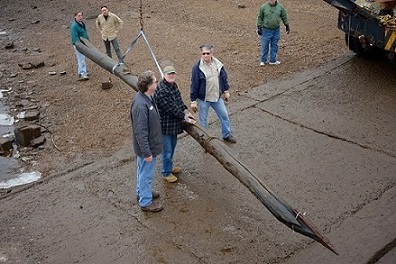 He is likewise a Fellow in the Company of Military Historians and has served as chairman of their West Point Chapter. Todd’s studies have taken him across the United States, Canada and the United Kingdom researching the American Revolution. Using mostly little known or obscure primary research, his work is known for bringing new information to light, and heavily relying on the people of their time telling their stories in their own words. This is heavily reflected in his latest work, “Bergen County Voices from the American Revolution” (History Press, 2012.) 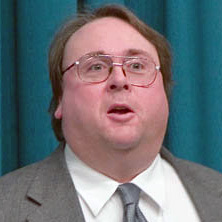 In addition to books and journal articles, Todd lectures frequently across North America and appears as a guest historian on such shows as “Who Do You Think You Are” and “History Detectives.” Todd currently lives in Mahwah, New Jersey, with his wife Susan.